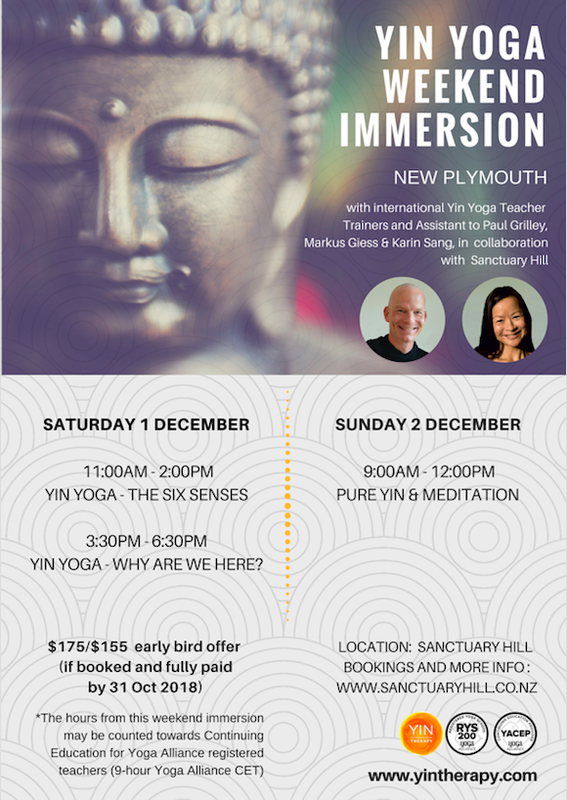 Markus' Workshops and Classes at the 7th Inside Yoga Conference. 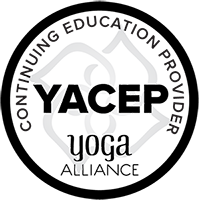 Yin Yoga Masterclass: Why Are You Here? 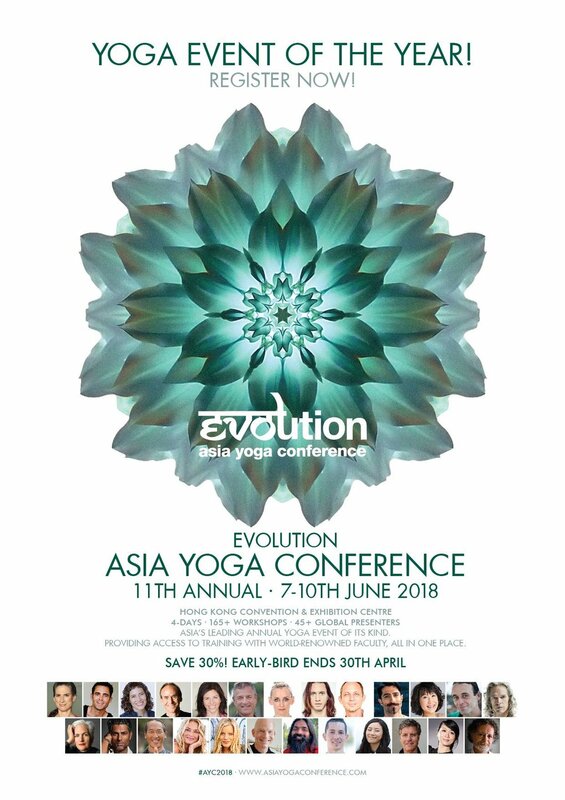 Yin Therapy is honoured to be a part of the 11th Annual Evolution Asia Yoga Conference in Hong Kong from 7 - 10 June 2018 - Asia’s largest event of its kind. 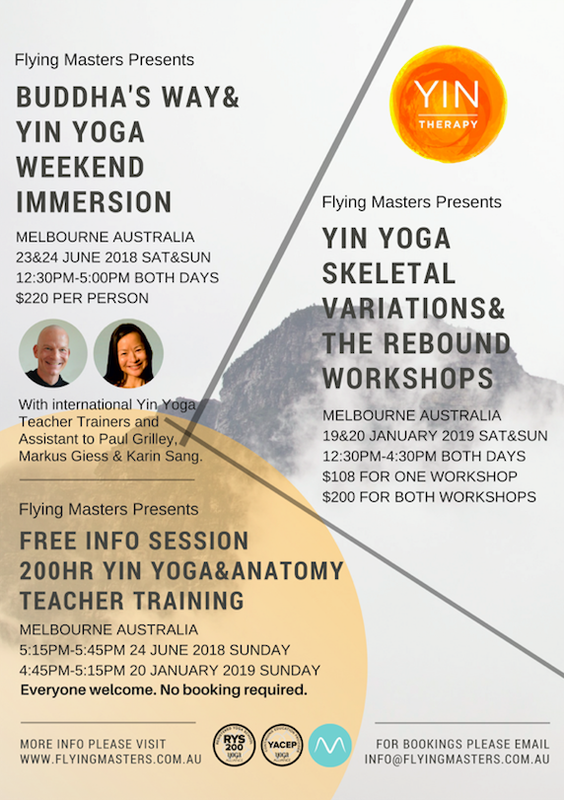 Markus Giess will join the 45+ international teaching faculty to offer Yin Yoga intensives and workshops over the 4 day event. 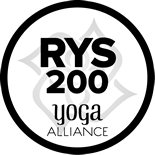 Markus' Workshops and classes at the 11th Annual Evolution Asia Yoga Conference. 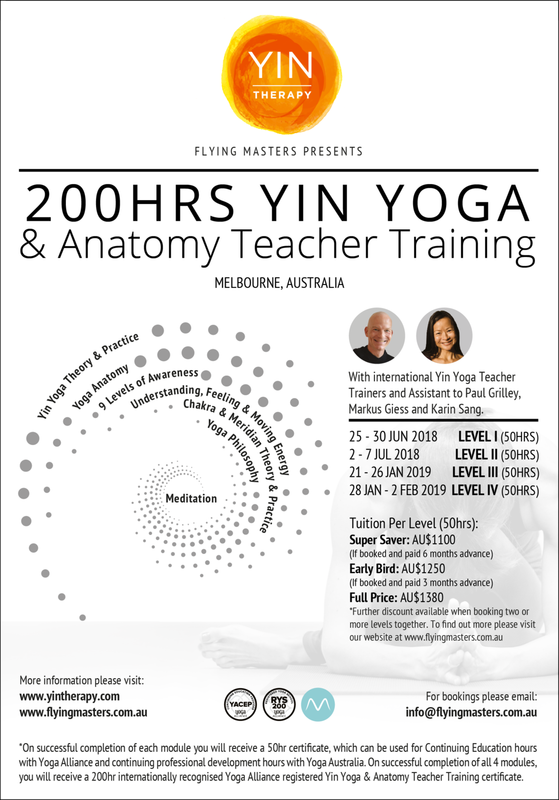 You will be taken on a journey to “the other half” of yoga to discover the profound practice of Yin Yoga and its role in Yin Therapy. 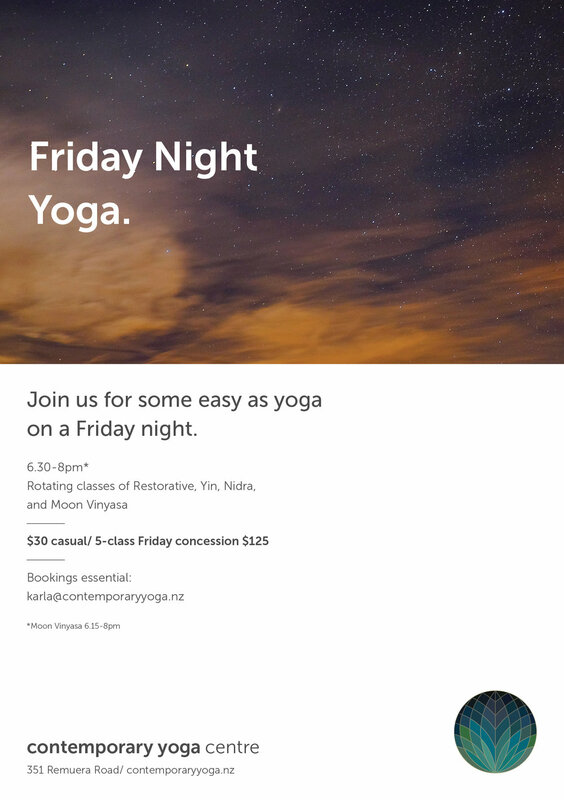 We will discuss the unique therapeutic benefits and discover why Yin Yoga is a vital complementary practice for not only yoga teachers/practitioners but for everyone, especially those suffering from chronic back pain and/or stress related illnesses. In the Yin Yoga asana class, you will experience, that when we truly listen and respect our bodies, it becomes a profoundly holistic and therapeutic practice. In recent years, the concept of “one alignment for all” has come under scrutiny in the international yoga world. Practitioners and teachers alike are recognising the limitations (and potential harm) of dogmatically following this rule. We will discuss skeletal variation and its relevance to yoga asana practice. You will discover for yourself, how different our bone structures really are and in doing so, realise the shortfall of classic alignment rules. When you understand the importance of respecting your own unique bone structure, you will discover your individual alignment which will liberate your yoga asana practice as well as your students’ – maximising the benefits of the practice and minimising the risk of injury. We will practice chakra pranayama meditation, bija mantras, Yin Yoga asana practice, stimulating the energy of your body through the mind, the breath, the voice (vibration) and with the body. In the rebound that follows the practice, we will experience the gentle and undulating to the strong and powerful stimulation of the chakra and meridian systems, which has a profound effect on the physical, emotional, energetic and mental planes. A potent experience that you will not easily forget. Yin Yoga - Why Are We Here? We delineate the yogic view of the question why we are here and explain what our purpose in this life could be! During a guided meditation, we will touch on all areas of your life as you meditate on the question: "Why am I here?" In the Yin Yoga asana practice you will guide and integrate the charged mental energy throughout your body. Yin Yoga has a mental, emotional, energetic and physical effect. Following this very personal and intensive mediation/contemplation, you can expect response in all areas of your life. This asana practice can be challenging on all levels! Students must have successfully completed our YYTTI - III courses before participating in this YYTTIV course.